As computers were finding their way into every teacher’s hands, and more classes were moving to some sort of Bring-Your-Own-Device model, I was arguing the biggest shift had nothing to do with the computers. 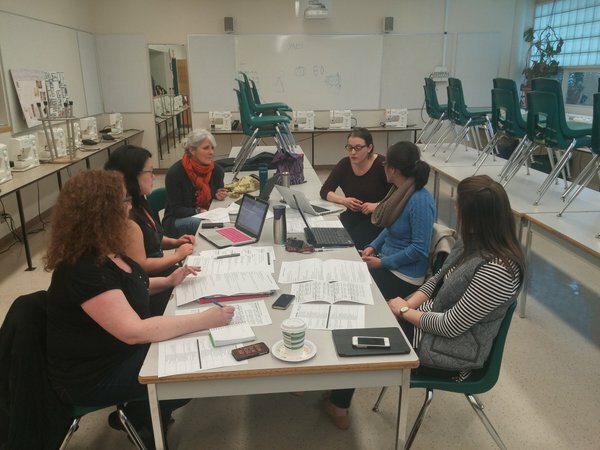 And as I look back over the shifts that computers brought, I am seeing it happen again as we embrace refreshed curriculum in British Columbia – and the biggest shifts are not about the curriculum. When I was Principal at Riverside Secondary in Port Coquitlam just over a decade ago, our school like many others, was working to put laptops in the hands of all the teachers in the school. This shift had an amazingly powerful influence on teaching and learning. As each year more teachers took advantage of the laptops available to them, they began to thoughtfully examine their practice, carefully considering the opportunities now available that were not available without the technology. Talking about how we teach is not easy, it is very personal and our profession is often quite isolating. Talking about technology is much easier. There is no harm in admitting you don’t know how your gizmo works. And what we saw at Riverside was that as we had conversations about our gizmos we quickly moved to conversations about our practice. The technology opened the door for conversations that we often avoid. I shared my bias in a post last fall, that when faced with six education system transformation drivers, Shifting Curriculum, Shifting Pedagogies, Shifting Learning Environments, Shifting Assessment, Shifting Governance, Shifting Citizen and Stakeholder Engagement, my bias is that the primary focus should be on pedagogies. Teachers, administrators and school districts have been allocated dedicated time to work with the new curriculum that is in draft this year for K-9 and will be fully implemented next year. The 10-12 curriculum follows one year later. And it has been so interesting to listen to feedback as teachers work together on the curriculum. As I visited those working on the curriculum and debriefed with others afterwards, nobody was talking about the content. People made comments like, “I didn’t realize how much similarity there is between our elective areas”, “We made plans to do some joint units next year” and “It is great we all now have the same understanding of core competencies.” The curriculum has given people a reason, an opportunity and a purpose for looking at their practice. Again like with the computer, the power is not in the curriculum, but in the conversations and shifts in what we do in the classroom. There are some amazing new connections being built through the curriculum implementation process. I talked to people who have worked in the same school with colleagues for years, but now feel they have a reason to work together. The power of the curriculum is not in what is written and posted on the website. The power is in how it comes to life in classrooms.